Villarembert is a beautiful and charming city that is located at an altitude of 1,300 meters in Savoie, France. Savoie is situated in the Rhone Alps regions and Villarembert is one of its quietest and smallest cities. With a population of just 290 people according to the 1999 census, you can be assured that you will get plenty of privacy! The inhabitants of Villarembert are called Rembertins. A serene atmosphere awaits the visitor, as this city encourages you to forget all your stress and unwind at the doorsteps of nature. Fresh air and greenery greets the visitor and during winter, there will be snow. The local cuisine is delicious, indulge in the local wines and cheese. Villarembert is located to the east and this village is close to many busy cities like Chambery. This quaint village has many tourist attractions in the surrounding areas. The currency used in Villarembert is the Euro. Villarembert is a quaint village that sits serenely on the Rhone Alps region of Savoie. It is close to one of the most scenic places in France, Les Ecrins National Park. Les Ecrins is the largest national park in France and the visitor is treated to picturesque mountain scenery in this Alpine region. It is located southeast of Grenoble about 46 km from Villarembert.Les Ecrins is spread out over an area of 227,332 acres. The land is varied with sharp drops and rolling meadows. The scenery changes with the season and summer is the best time to explore Les Ecrins. Stunning views in each direction, Les Ecrins has 170 sq km of glaciers, 368 sq km of alpine meadow and 300 sq km of forests, there is plenty to explore! The landform changes gradually as the west side has more of granite and hard gneiss that can resist the grinding of glaciers and the southeast has sandstone, shale and schist. The altitude of this park increases from 800 meters to 4,102 meters at the peak of the Barre des Ecrins. This is the popular route taken by hikers and climbers. Off piste skiing is famous on these slopes. Well marked trails lead the visitor to museums and there are regular exhibitions and festivals. Vanoise National Park is about 44 km from Villarembert . This is a protected area in the Alps and it is on the Italian border. Vanoise National Park continues as the Grand Paradis National Park in Italy. A beautiful outdoor area, it is popular destination during the ski season and the summer. Picturesque scenery of the mountainous terrain spreads out over the horizons, casts a surreal atmosphere at this park. Many of the peaks at this park are over 3000 meters and the highest peak is Grande Casse, it stands at 3855 meters.Take a day's trek on the 500 km of marked paths that include the GR5, GR55 and GTA (Grand Traversee des Alpes). There are a number to huts along the way to take rest, these trails were originally used by the local inhabitants to travel from one village to the other. This is a hikers paradise, but the mountain biking and paragliding are exhilarating too. Watch out for the wildlife like the alpine ibex and the chamois, this is a protected area for the ibex. Enjoy the charming meadows and the greenery, spring creates magic with the different colored hues to this park. Wild flowers bloom and the fragrance is intoxicating, as the hikers walk on the numerous trails. La Grave is one of the most beautiful villages in France, it is about 22 km from Villarembert. A scenic location, it is surrounded by majestic mountains high above the plains. This picturesque village is unique as there are no wooden chalets around. Most of the buildings are constructed with stones and these stones are mainly volcanic rock that are held together with mortar that is made from mud. Nestled strategically on the slopes of the mountainside, this charming village is linked by narrow lanes that winds its way between the quaint houses. Walk around this breathtaking village and you will stumble upon the ancient little church with influences of Roman architecture. It was construct in the 12th century at this village center.This charming village is famous as a ski resort and it is the destination favored by the experienced skiers. There are no pistes and skiing is on glacier ice. Skiers can take the lift or the tram to reach the peak and from there ski with a vertical drop of over 2000 meters. A magically experience creating your own path. This village offers amazing sporting activities during the summer too, rock climbing is a popular sport on these peaks and hiking on the trails is a joyful experience. Just 30 minutes drive from Villarembert is the ski station of Les 7 Laux. This is the third biggest ski area in the region of Dauphiné Alps and it was created in the 1970s. Les 7 Laux has a well laid out natural surface offering 120 kilometers of runs that are located in the Belledonne chain of mountains. This tests even the most skilled skier and snowboarder.There are three base levels that constitute Les 7 Laux, Pipay, Le Pleynet and Prapoutel. Prapoutel is a well developed region in the valley of Grésivaudan. It is a commercialized area and skiers will find accommodation and fine dining restaurants, walk around and discover this quaint region that has many rental stores and a charming ice skating rink. Snowboarders enjoy the challenge of the four different levels of difficulty at its snow park. This pro area has a varied landscape with rails and big air. They do have an area for the intermediate and beginners. A beautiful place to watch sports enthusiasts enjoying the ride. There are ski schools here that will teach the novice the basics of skiing and snowboarding or fine tune the expert! Snowshoeing trails are popular at Les 7 Laux. Enjoy the panoramic scenery over a glass of the local Green Chaud. The picturesque city of Chambery is located 45 km from Villarembert. A city that has a long history with the neighboring Italy. A bustling town in this otherwise quiet region, visitors will enjoy the many monuments and historical buildings in Chambery.The Chambery Castle was sold to the Counts of Savoy in 1232 by the Lord of Chambery. Today, the castle is the location of the council offices, but they allow visits. The St Chapelle is an important chapel as it has the 'Holy Shroud', it was brought into Europe during the Crusades and had been entrusted to the Savoy in 1452. Notice the famous 70 bells of the Great Carillon. The Cathedral is a classic 13th century Gothic style church and it has numerous trompe-l'oeil paintings. Admire the 12th century Byzantine diptych of the treasury.The city museum has an impressive collection of paintings by Italian Renaissance artists like 'Portrait of a Young Man', by Paolo Uccello, and 'Trinity', by Bartolo di Fredi. There are famous paintings by local painters like Gian Franceso Beringier and Fragonard. On display are Roman artifacts like coins and pottery. A beautiful city with a scenic background, have a drink at a cafe and relax in the pristine atmosphere. Take a tour of a vineyard and learn about the passion and energy that goes into making wines. There are wine trails with wine producers who will take you into their cellars and show you the different barrels and techniques of wine production and storage. Enjoy a glass at the end of the tour! There are 23 varieties of grapes grown in Savoie. A number of popular events are organized during the year, when the Savoie wines are judged and winegrowers hold festivals each year after the harvest. Visitors will enjoy the experience of merriment with the panoramic scenery of the mountains in the background. The Fountain of the Elephants is in Chambery and it is located in the Rhone Alps, Savoie. A beautiful city that is about 45 km from Villarembert. The Bourget Lake is the largest natural lake found in France and it is just north of this city. The Fountain of the Elephants was built in 1838 to honor the Earl of Boigne, Benoit Leborgne when he returned from his adventurous travels to India. He served under an Indian Prince and his fascination of elephants became legendary. This fountain is designed with four elephants that resembles a cross. This is the coat of arms of the House of Savoy. Villarembert is a quaint village that offers the visitor authentic French cuisine. Trips around the surrounding areas will give a wider choice of cuisine. There are international flavors like Italian food, Japanese, Indian cuisine and even Eastern European dishes. Indulge in the French Alps specialties like the Raclette, a delicious meal that the diners makes at the table with cheese, meat, vegetables, potatoes and a grill. The local fondue with the three cheeses is delicious. Feast on the pasties made with walnuts that are popular in this area and a glass of Chartreuse, a scrumptious liqueur made from herbal extracts. The beautiful fortified mountain city of Briancon is about 48 km from Villarembert. It sits majestically at 1350 meters in altitude in the Hautes-Alpes department of Provence, close to the Italian border. Briancon is the highest city in Europe and it is located at the end of many important valleys through these scenic mountains. It was important for the defense of this country to fortify this picturesque city and in the 17th century a moat, ramparts and gateways were constructed. Explore the forts called Salettes that are located above the town center, the most scenic fort is the Fort des Trois Tetes as the Asfeld Bridge crosses the gorge of the Durance river. Appartement Le Corbier duplex 8 pers. Appartement 3 pièces de 47 m²centre de la station à 50m télésiéges de l'école de skis et de la garderie. 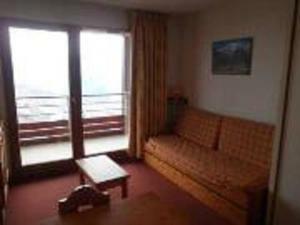 appartement de vacances skis aux pieds! Le Corbier 4 persons Foot of the slopes Lovely !!! The airport in the city of Chambery is one among the closest to Villarembert city. It is about 48 km away, on arrival the best option will be to hire a car to your convenience and the map will guide you into this picturesque city. Hiring a car will give you the free to enjoy the sights of this magnificent countryside and will let you plan your holiday after you reach Villarembert. This is a lonely area and though it is advisable to have a car, there are taxis that your hotel will help you to arrange. Car hire is recommended as you will be visiting the surrounding cities and having a car gives you the flexibility of planning your day. Most car hire companies will offer to pick up the car, if you make others plans of returning or they offer drivers to drop you at your desired location. Getting around the city is best by car. This is the only way to see this area. Bicycles can be rented during the summers and it is a great way to enjoy the sights of the mountains and meadows.